An opportunity to master computational style questions. 35 scenarios and 1,750 computation-based questions. Full solutions for each question. 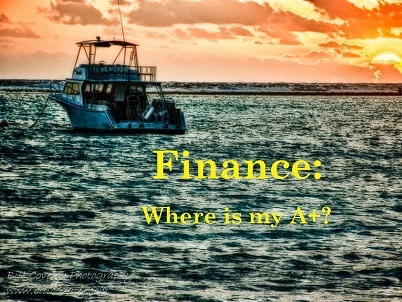 The 'Finance: Where is My A+?' App is an essential tool for either students of corporate finance at the college, undergraduate or graduate level, or people pursuing professional accounting designations (CFA, CFP, CPA, LIFA). Practice is a key success factor in Finance. It is important that you do as many practice questions as humanly possible. This practice prepares you for the time restricted and stressful exams that we all have to endure. It also helps solidify the theoretical material presented in lectures and textbooks. There is never enough computational-based practice questions supplied in the textbooks, and that is why this app was developed. Splash screen image used with the permission of copywriter owner (2011, Bill Coveny, Photography ). Decorative in-app images are used under licensing agreement.